For National Libraries Day we’ve asked two of our current volunteers to tell us about their experiences at The Stuart Hall Library and their use of the collection. My story with The Stuart Hall Library began in 2013 for my own research, which was about an exhibition called The Other Story. The very first time I visit this library, I completely fell in love with the space and had a good time here. Most important of all, I had almost all the information and materials that I needed for my research, which surprised me a lot. With my wonderful previous experience in Stuart Hall library, I decide to contribute my time and effort as a volunteer. In this tranquil and comfortable space, I have a chance to see and work with the amazingly massive archive, which allows me to know more about the history of Iniva and British art and at the same time, learn more about archiving. Another fascinating opportunity I have here is to read journals and books which underline the issues related to minority, identity, gender and culture. The Stuart Hall Library is much more than a library; it is a dynamic space, allowing groups of artists, researchers, students and writers to collaborate together to create an energetic atmosphere. 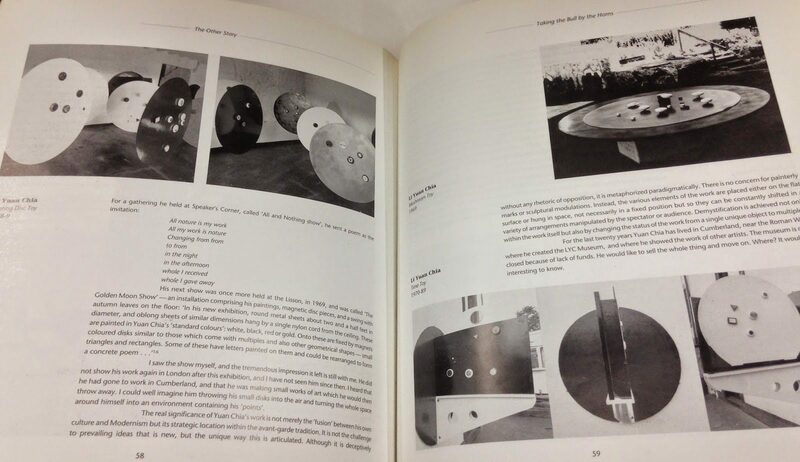 From my own research, my favorite thing in Stuart Hall Library is the collection of material related to Li Yuan-chia such as exhibition catalogues, poems he wrote and pictures and slides of his exhibitions. He is not very well known in British art history so I am very impressed that I can see such collections about him here. Every time I see those materials, I am so touched. I just have worked here for a short period of time and I believe I will discover more in the future and do hope more people will visit this lovely space and resource. How did you come to volunteer at the Stuart Hall Library? I studied Fine Art nearby at the Sir John Cass Faculty of Art, Architecture and Design and have been visiting Iniva since then. After working for a furniture manufacturer I decided to reorient towards a library/information career. An interest in Stuart Hall and a wish to further my knowledge of art practice made the Stuart Hall Library an excellent setting in which to learn some basic information skills. Helping to index and abstract the library’s collection of journals has exercised my ability to write useful, concise texts.In preparation for this, to become better acquainted with the library’s key themes, I read through all the subject words that featured in the catalogue, looking up those I couldn’t readily define. There were several intriguing portmanteau words new to me : for example, Afrofuturism, coined by Mark Dery in the 1990s to describe the confluence of black culture and science fiction. 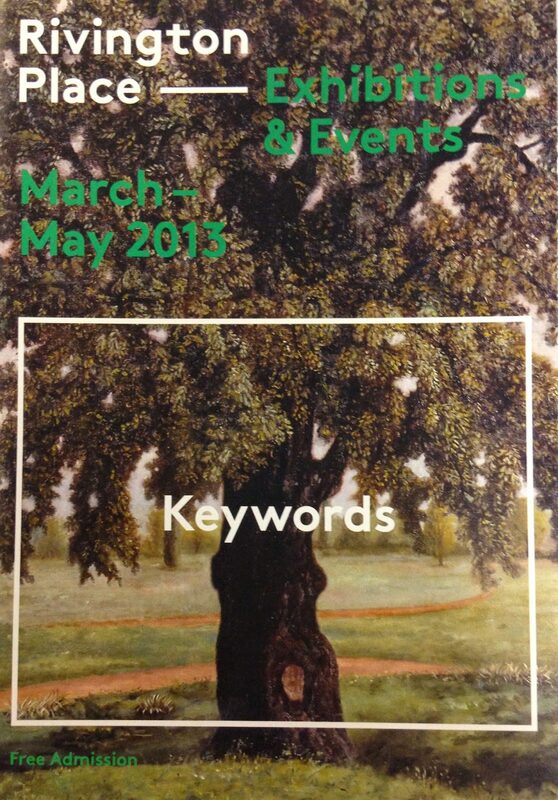 For those who like to mull over etymology and its corollaries, I recommend a look at the documentation of Iniva’s Keywords exhibition and lectures from 2013. Is there an item in the collection that’s been of particular interest? 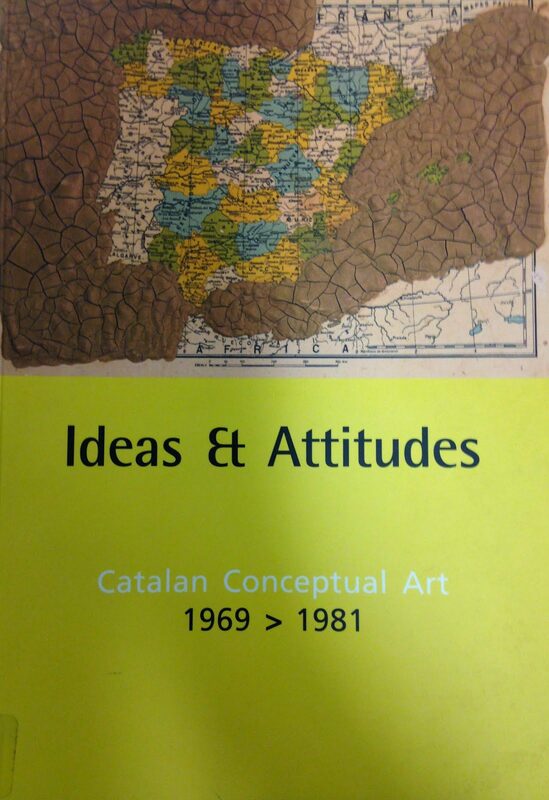 One book I spotted was Ideas and Attitude : Catalan Conceptual Art. This is probably because I have been investigating the ties between art and anarchism (the body of sociopolitical thought dating from Pierre-Joseph Proudhon’s What is Property? (1840), rather than the popular synonym for hooliganism). Anarcho-syndicalism was prevalent in parts of Catalonia in the late 1930s. The book documents a later generation of artists from the region in their attempt to give significant shape, predominantly via found/modified objects, to their political heritage and present predicament. I discovered this book just browsing the shelves ; the scale of the library makes this a feasible method of becoming familiar with the entire collection in a relatively short period and doing so is a way to invoke serendipity and find that unsought but seminal, book or idea.